ACP Internist Weekly has tallied the voting from its latest cartoon contest, where readers are invited to match wits against their peers to provide the most original and amusing caption. 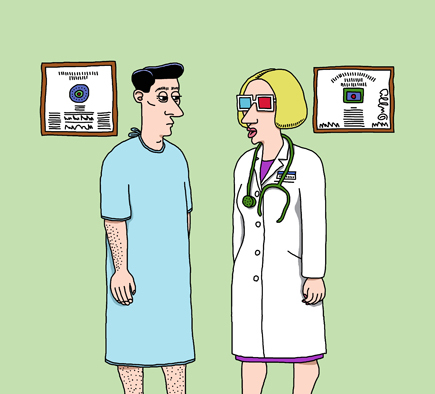 This issue's winning cartoon caption was submitted by Stephen Lieto, ACP Medical Student Member. Thanks to all who voted! The winning entry captured 59% of the votes.